Advance care planning involves learning about the types of decisions that might need to be made, considering those decisions ahead of time, and then letting others know about your preferences. These preferences are often put into an advance directive, a legal document that goes into effect only if you are incapacitated and unable to speak for yourself. This could be the result of disease or severe injury—no matter how old you are. It helps others know what type of medical care you want. It also allows you to express your values and desires related to end-of-life care. You might think of an advance directive as a living document—one that you can adjust as your situation changes because of new information or a change in your health. 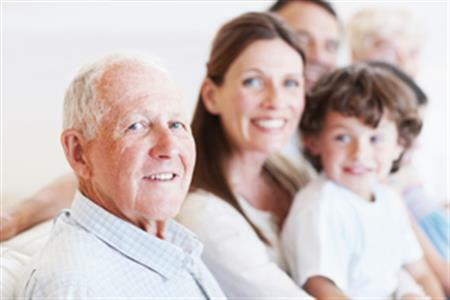 My Care by Cottage Health provides a downloadable advance directive form along with information about advance care planning, local workshops and notary services, and FAQs. This free, downloadable e-booklet is designed to help people with advanced cancer, their families, and their caregivers. It explains the treatment options available throughout the course of the illness. It also has information on talking about these options and finding support. The Conversation Project is dedicated to helping people talk about their wishes for end-of-life care. They offer a free, downloadable Conversation Starter Kit in multiple languages. Free online program that helps you create a summary of your healthcare wishes. The step-by-step process is easy to read and accompanied by videos. Summary can be used to complete an advance directive. Also available in Spanish. It is never too early to have meaningful conversations regarding healthcare choices.This workshop gives an overview of Advance Health Care Directives, the legal document that gives you control over medical decisions that will be made if you ever become seriously ill or injured. It makes sense for every adult to have one. Each workshop includes time for questions and one-on-one assistance. Co-sponsored by the Alliance for Living and Dying Well. Free of charge and open to the community. For upcoming dates and locations, check the Sansum Clinic Health Education Calendar. For more information, contact the Health Resource Center at (805) 681-7672.